Idaho salmon populations have been decimated to the brink of extinction by a lot of lip service and no action to address the dams that are killing them, even dams that are producing little in the way of electricity or economic benefit. For the fifth time in 15 years, a federal court rejected a 10-year plan to protect Columbia River Basin salmon last month. In a long opinion, a federal judge wrote that federal agencies have tried to revive threatened salmon and steelhead runs by restoring habitat without affecting electricity production by dams. Those efforts have cost billions of dollars and haven't worked. The judge ordered the federal agencies responsible to go back to the drawing board and come up with a plan to protect threatened and endangered salmon populations. 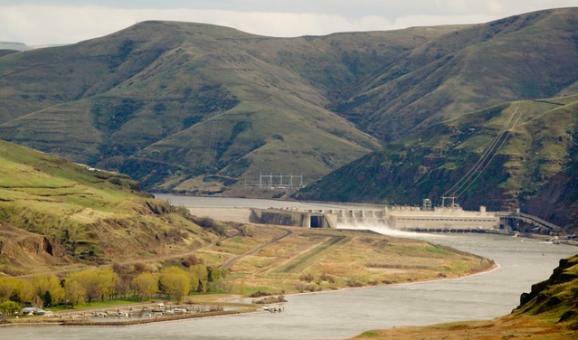 U.S. District Judge Michael H. Simon wrote that a proper analysis "may well require consideration of the reasonable alternative of breaching, bypassing, or removing one of more of the four Lower Snake River Dams." However, he stopped short of ordering such consideration. If recent history is any guide, federal agencies such as NOAA Fisheries, the Army Corps of Engineers and the Bureau of Reclamation will write yet another plan that will fail to pass legal muster and recommend what needs to be done to recover salmon and steelhead populations. The process in which federal agencies write fish protection plans, courts reject them, and insufficient re-planning and rewriting occurs again is a dance of death. It's time to end the dance by analyzing and undertaking any necessary dam removal, the last hope for survival of the species that are an important food source in the Northwest. Perpetuating the dance will only deprive future generations of their rightful salmon legacy, courtesy of their procrastinating and foolish forebears.